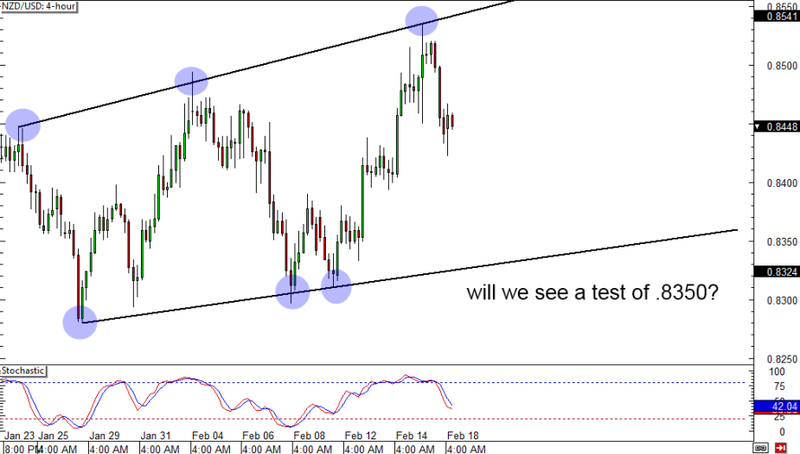 Let’s begin the day with a widening formation on NZD/USD. After finding resistance at the upper boundary of the pattern, the pair dropped like a rock to .8550. The pair isn’t moving much now, but judging from how far away the next support level is, it looks like the pair still has a lot of room to fall. If you have a short position, then you could still probably get a couple of more pips as the bears try to push the pair even lower. And it remains intact! 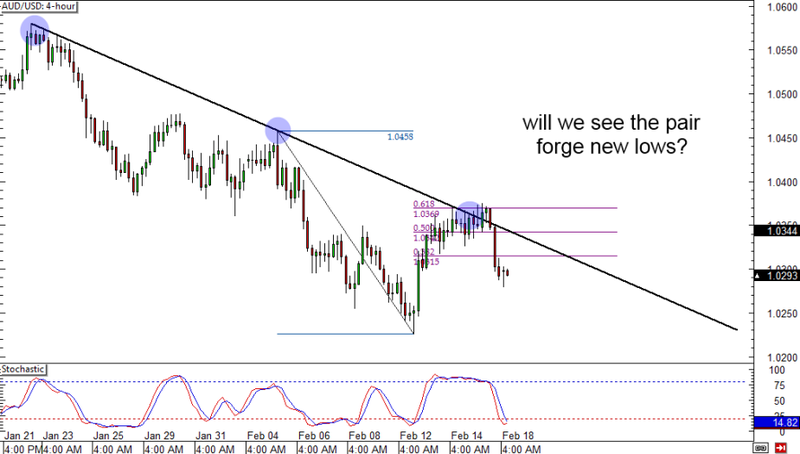 AUD/USD’s seems to be forming a new downtrend as the falling trend line that has been holding it down held magnificently. Now, price looks like it will go lower even further, especially since it has been making “lower lows” for quite some time now. If you’re bearish on the pair, be cautious on holding on to your bias for too long… The Stochastic just hit oversold territory, which means that a pullback may be in the cards. Let’s end the day with a look at the forex market‘s favorite pair: EUR/USD. 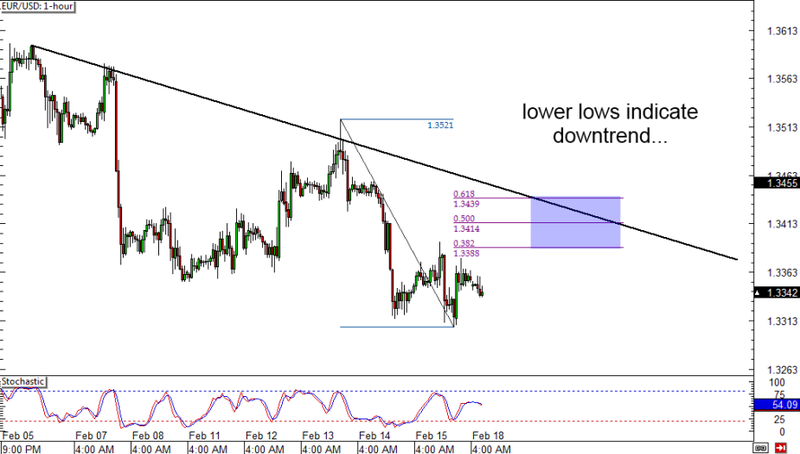 On EUR/USD’s 4-hour chart is a potential resistance at the falling trend line and the 50.0% Fib level right near the 1.3400 handle. Not only that, price is starting to move higher now that the Stochastic is out of oversold territory. If you’re one of those late sellers, the area between the 50% and 61.8% Fibonacci retracement levels could be a good chance for you to jump in short.